Organizations succeed through continuous planning to achieve high levels of performance. For most organizations planning is not an easy process to conduct. Planning software is typically designed for only a few people in the process, such as analysts, or organizations might use spreadsheets, which are not designed for business planning across an organization. Most technologies only allow you to examine the past and not plan for the future. For decades organizations have tried to focus planning on driving better results through higher participation, but they have usually failed, as technology has not advanced enough to support this business need. 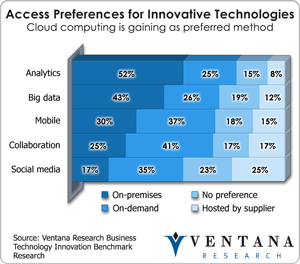 Cloud computing has given business a new way to improve the effectiveness of business processes and ultimately the outcomes of their efforts. In the last five years, business across marketing, customer service, sales, human resources, finance and other areas have embraced the practice of renting access to the applications and technology they need when they need them. Organizations’ use of operational expense budgets helps them get what they need and avoid IT politics or standards that impeded their agility. Using information from applications and services across both the enterprise and Internet just got simpler with Kapow Software and the announced release of Kapow Enterprise 9.2. I examined the technology at the Kapow WoW user conference, and spoke with a broad range of companies that use Kapow. For almost two decades, Vitria has been harvesting data across networks and systems and using events to drive operational intelligence using the science of complex event processing (CEP). The company won the 2012 Ventana Research Technology Innovation Award in the category of Operational Intelligence for KPI Builder, and in past years its customer TXU Energy won our Leadership Award. Last year my colleague Richard Snow assessed how Vitria uses big data from sources inside and outside the enterprise to enable timely action across the organization. Vitria can parse big data in motion across the network through its correlation, workflow and analytic architecture and compare it with historical data to provide insights for those responsible for taking action. I recently attended the annual SAS analyst summit to hear the latest company, product and customer growth news from the multi-billion-dollar analytics software provider. This global giant continues to grow its business and solutions to help with fraud prevention, marketing and risk. It lets users apply its analytic and statistical technology in practical applications for business. SAS can meet midsized businesses’ demand with packaging and pricing to ensure it is not seen as only affordable to Global 2000 companies. SAS’ growth in analytics should be no surprise, as our research finds analytics to be the first-ranked priority among technologies for innovating business. I recently attended the annual Informatica analyst summit to get the latest on that company’s strategy and plans. The data integration provider offers a portfolio of information management software that supports today’s big data and information optimization needs. 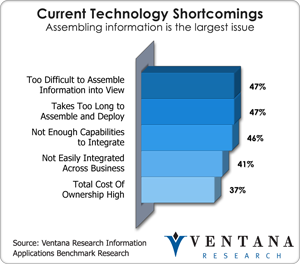 Informatica is busy making changes in its presentation to the market and its marketing and sales efforts. New executives, including new CMO Marge Breya, are working to communicate what is possible with Informatica’s product portfolio, and it’s more than just data integration. The big-data landscape just got a little more interesting with the release of EMC’s Pivotal HD distribution of Hadoop. Pivotal HD takes Apache Hadoop and extends it with a data loader and command center capabilities to configure, deploy, monitor and manage Hadoop. Pivotal HD, from EMC’s Pivotal Labs division, integrates with Greenplum Database, a massively parallel processing (MPP) database from EMC’s Greenplum division, and uses HDFS as the storage technology. 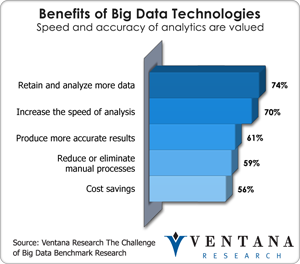 The combination should help sites gain from big data a key part of its value in information optimization. SnapLogic, a provider of data integration in the cloud, this week announced Big Data-as-a-Service to address businesses’ needs to integrate and process data across Hadoop big data environments. 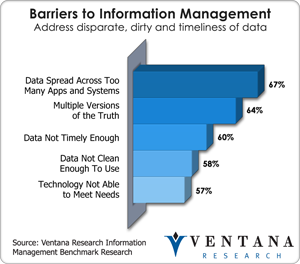 As our research agenda for 2013 outlines, dealing with data in the cloud is very important to organizations. At the same time, businesses need to be able to integrate their big data with all their technology assets, as I pointed out recently. Business is starting to realize that taking advantage of big data is not just technically feasible but affordable by organizations of all sizes. However, as outlined in our agenda on big data and information optimization, the technology must be engineered to the information needs of business. Hortonworks has been steadily advancing its big data technology called Hadoop and contributing its developments back to the Apache Software Foundation for a range of projects. The company performs enterprise-level testing to ensure Hadoop not just operates but scales across operating systems, cloud computing, virtual machines and appliances. Over the last year Hortonworks has released a number of certifications and benchmarks for an enterprise-ready version of Hadoop for which it provides support and services. 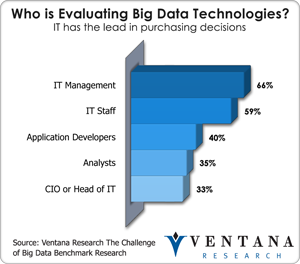 These are important steps forward in meeting the needs of IT management, which is the audience evaluating big data technologies in 66 percent of organizations according to our big data research.